The word “quiz” is instant Carnival buzzkill, right? 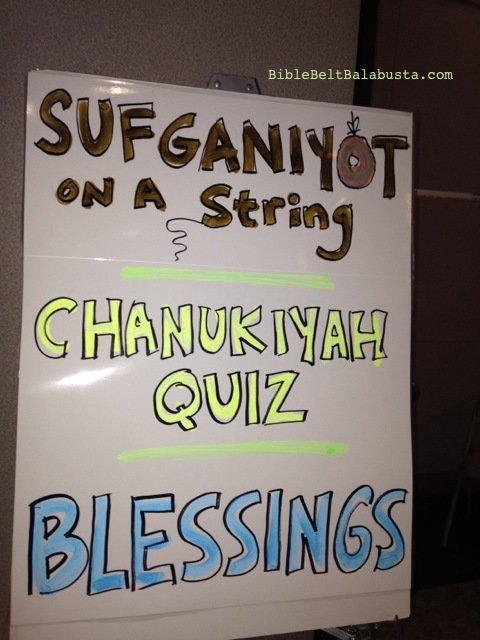 Hardly the sort of catchy title to entice kids to a Chanukah Carnival station. But really, it is a quiz, my activity, not a game. And if it’s facilitated in the right spirit, it will be fun. And educational. And memorable. I promise. The goal is not to be the Kosher Police, nor to shame a child who last week crafted an exquisite chanukiyah that, according to this quiz, is not “kosher,” nor to cast aspersions upon Bubbe’s electric menorah, no, neither upon a Jewish Camper’s every-flame-at-a-different-layer woodshop project. Nope. 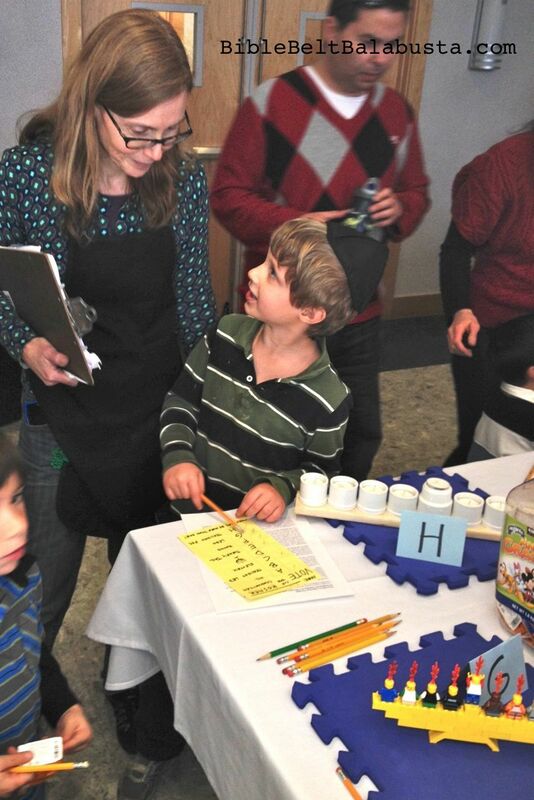 The goal is to teach the traditional rules of a Chanukah menorah and to teach them in a way that is hands-on, quick, fun and ends with chocolate. 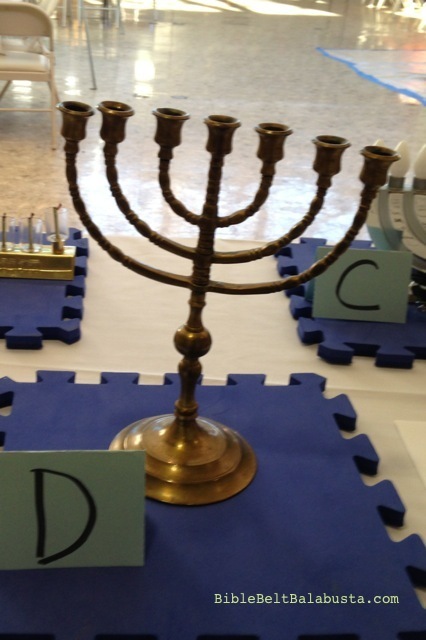 A spirit of inquiry should prevail, a spirit of “these are the Menorah guidelines in the Talmud.” Ideally, quiz-takers will be talking, pointing, asking, wondering aloud why this or that menorah might be kosher or not. 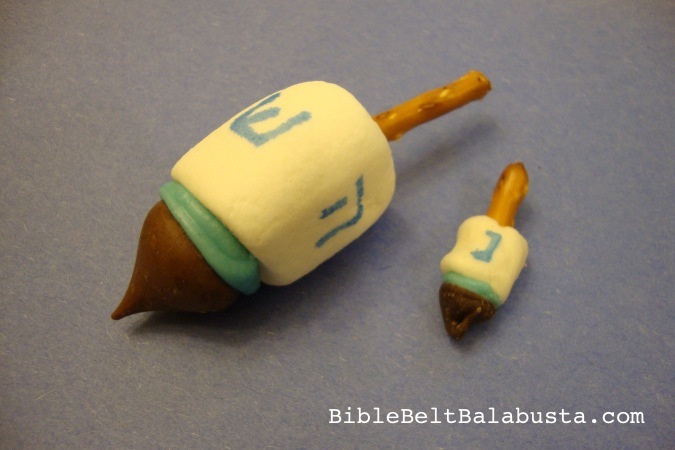 Students are welcome to touch, thus I am allowed to call this “hands-on.” Who can look at a LEGO chanukiyah and NOT pull the dragon flame out of a minifig head? Post the rules as simply (and as large) as possible. Make checklist voting cards. 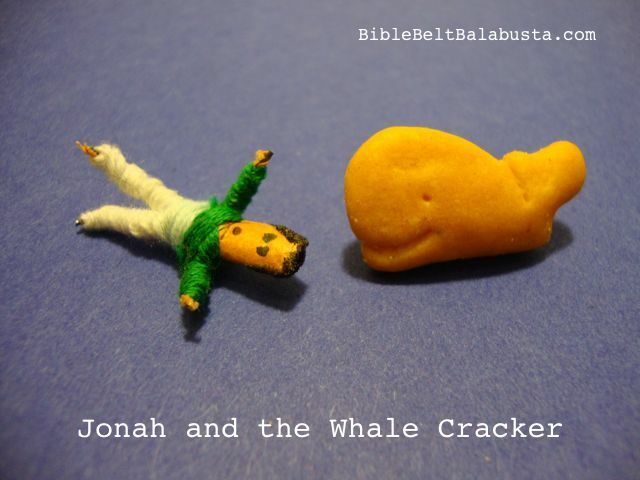 Make sure they include simple pictures for kids too young to read. Set out a jar of pencils. 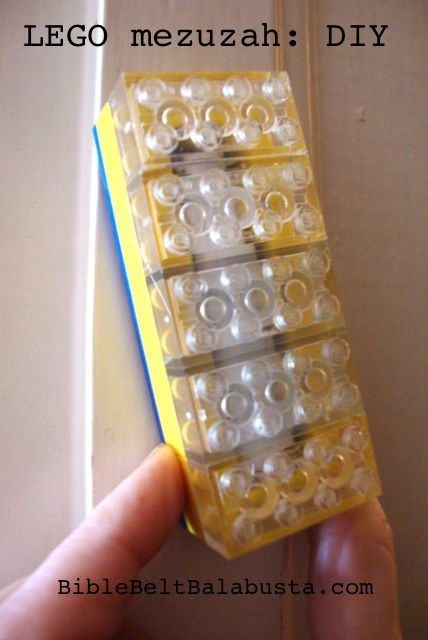 Or, use little stickers as markers. Make a box to collect the checklists for a prize draw later. Assign someone to hand out bags of gelt at the box. On a table, line up Examples labelled “A” through “H.” Make sure you have at least two kosher models. 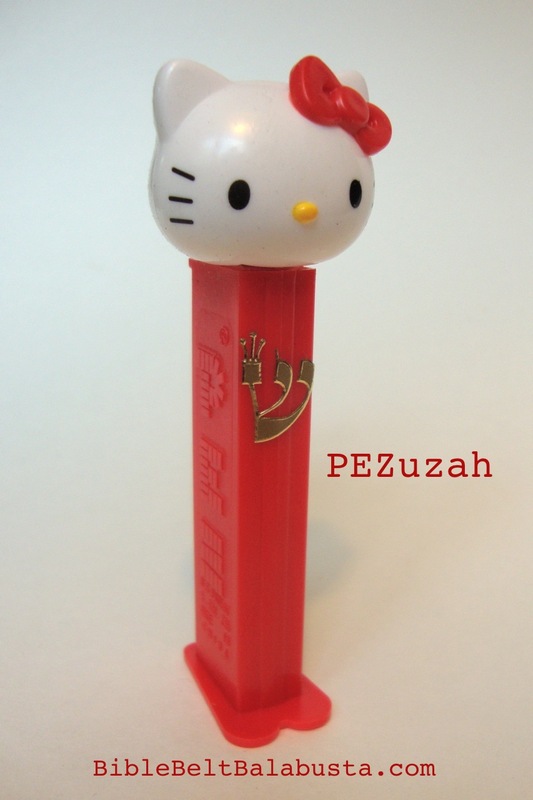 Non-kosher models should vary in non-kosherness, and be interesting. Next year, there will not be a Menurkey, obviously, but I’d like to add a small desk lamp, which is technically a “menorah” in Hebrew. Menorah simply means “lamp.” A Chanukah menorah is a chanukiyah. I’d also like to add a tabletop “ice menorah,” which I just heard about thanks to a friend’s fb post. It’ll require a pre-chilled beer cooler, but what a conversation starter. Conversation is what I WANT. 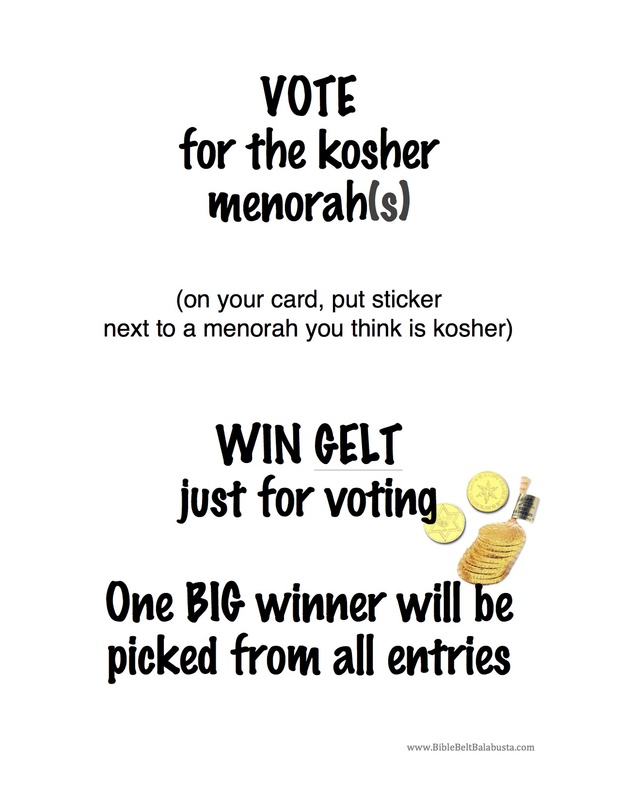 There are more rules, of course, depending on your tradition, so if you are considering this activity, check with your Rabbi about the local low-down for your particular congregation. 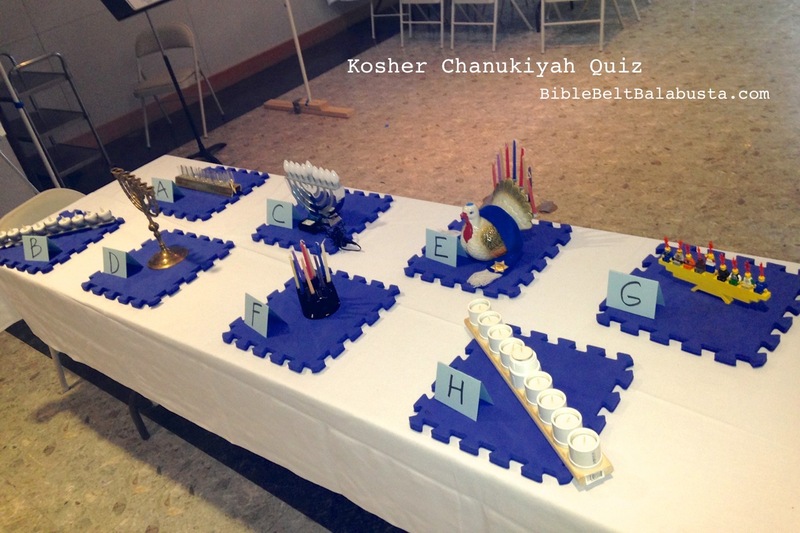 This entry was posted in Activity, Crafts, Hanukkah and tagged carnival, game, kosher, menorah, quiz. Bookmark the permalink. 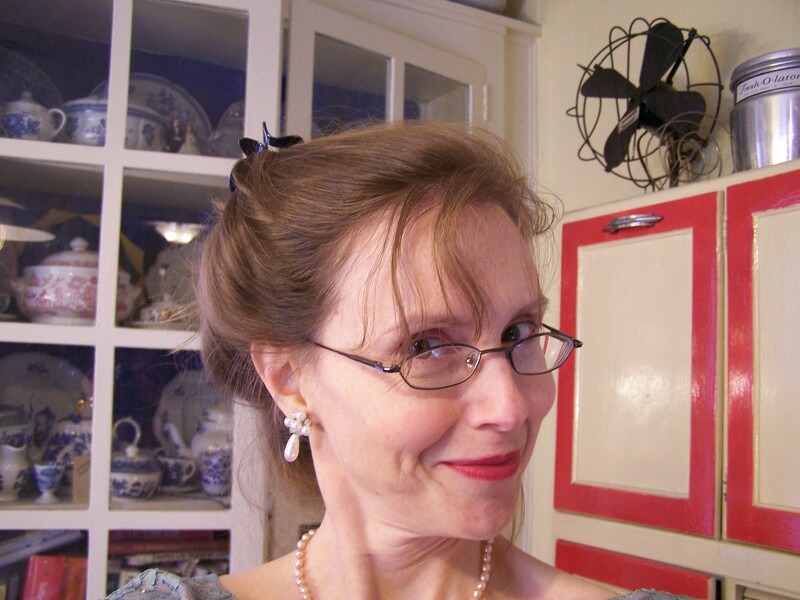 Really am enjoying your blog. Great resources. 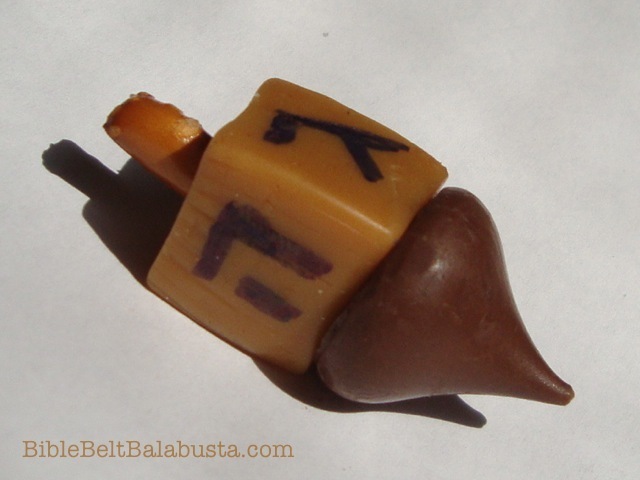 As an ceramic artist who makes hanukiot I have always been keenly interested in what makes a hanukiah kosher or not. My understanding is that the rules are simple: We want to count each night as a separate and equal night so the flames should not appear to eclipse one another as they would for a havdalah candle, nor should any of the nights’ candles be more elevated than another so that no night appears to be more important than another ( this does not include the shamash). Over time we have made solutions that fit those requirements like saying the candles have to be in a straight line. But there could be some very interesting debates about those solutions. What if you are viewing your hanukiah from above? Do the candles still need to be in a staight line in order not to eclipse one another or to appear equal in height? If you view a hanukiah with candles in a straight line from the end so all the flames align and eclipse. Is it still kosher? Can one make a circular hanukiah with the proper spacing so that the candles do not eclipse one another? Is that kosher? Do we need to deliniate the first and the last flame/ night? Perhaps this kind of discussion works best with older kids, but it is definitely a discussion of exploration, hopefully leading to new , creative kosher solutions. All these are good questions that lead to good discussion, absolutely. What’s kosher is determined by the “authority” followed, whomever or whatever that may be, so the rules differ across the gamut of Observances. Aside from the structure of the chanukiyah, there are all the rules about how and in what order to load the wicks/candles, how to light them, how to recite the blessings, whom should light, where to place the chanukiyah, when to light, what happens when the flames are burning, and so on. My little quiz was for a Conservative Religious School, 7th grade and younger, and I kept it quick and simple.